Jerry Douglas is the president of Biltmore Estate Wine Division. In this role, Douglas is responsible for marketing, production, and sales of all Biltmore wine both on-site and throughout the United States. His responsibilities include the ongoing development of Biltmore Wine Company and its expansion, for which he has been involved with the marketing and production of Biltmore’s varietal wines since 1984. Today, Biltmore Estate Wine Company produces over 150,000 cases of wine each year and is the most visited winery in the United States. Douglas has been active in many national wine industry organizations, having served as past chairman of the American Vintners’ Association (predecessor to Wine America). He is a founding member of the Wine Market Council where he currently serves as a board member. 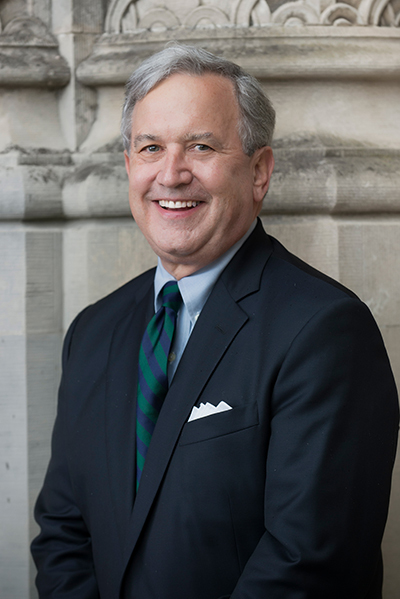 He has served on the national board of directors for the American Institute of Wine and Food, and on the board of directors for the Congressional Wine Caucus Foundation. From 2002 to 2012 Douglas served on the Board of Directors for the NC Wine and Grape Council. He is a past chairman of the North Carolina State University State Extension Advisory Council and a past CARET (Council for Agricultural, Research, Extension and Teaching) delegate for the National Association of State Universities and Land-Grant Colleges. Douglas is also an active participant of the NCSU Emerging Issues Forum and continues to support this organization in meeting our state’s critical infrastructure needs. Douglas is a graduate of the University of Georgia and has completed the University of North Carolina Advanced Management Program and the University of California Davis Wine Executive Program. Douglas resides with his wife, Carol in Asheville, NC. They have three sons and five grandchildren.